Judy and her husband have been restoring an 1870 house in Louisiana, Missouri for about 3 years. 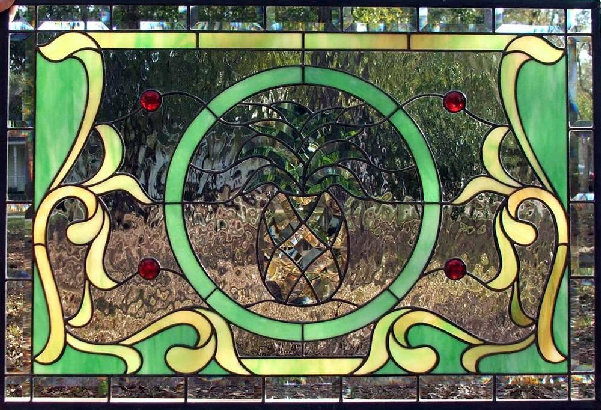 They contacted me about building a stained glass transom for above a dining room door. They wanted a fruit centered theme with classic Victorian accents. 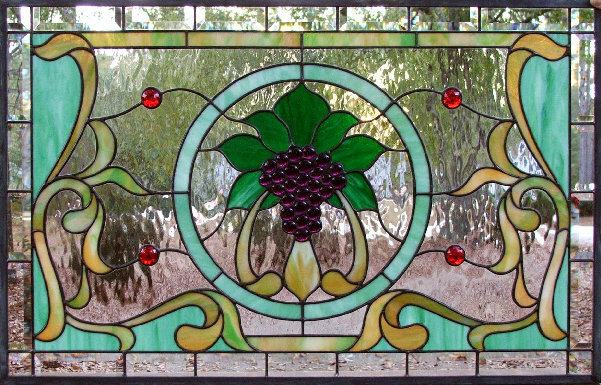 We found a period transom that we redesigned with a grape central theme and classic Victorian vines. . Clear waterglass background, red jewels, and a beveled border give this colorful transom a shimmering effect in the light. Judy's Transom is comprised of 149 pieces, measures 20 5/8" by 32 1/8" and was completed in December, 2006. 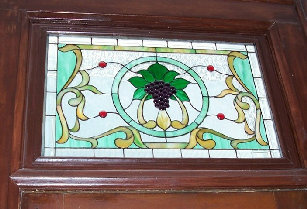 After Judy received her grape transom, she asked me to build another transom for her 1870 home. 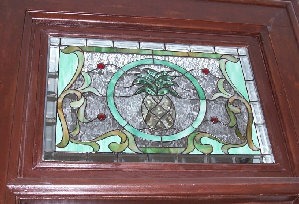 This time she wanted a transom with the same theme except a beveled glass pineapple center instead of the grape cluster. 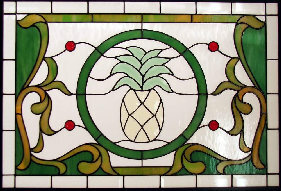 The pineapple transom is the same height but is 2 inches narrower than the first. 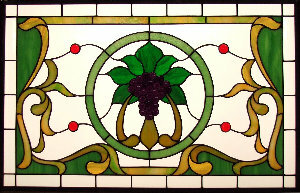 This transom measures 20 5/8" x 30 1/8", has 122 pieces of glass, and was completed in February, 2007.